anticipating that someday there would be a sufficient number of Camps for an Arizona Department. In 2015 two additional camps were chartered, the General R. H. G. Minty Camp No. 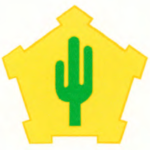 2 in Tucson and the General U. S. Grant Camp No. 3 in Flagstaff. By a previous agreement with the national SUVCW, if the requisite number of Camps was formed and a petition was filed to form an Arizona Department, it would also include New Mexico – which had no Camps. On December 3, 2015, the Department of the Southwest – which includes the states of Arizona and New Mexico was established and on March 26, 2016, received its Charter! 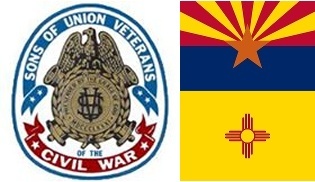 The SUVCW is the successor organization to the Grand Army of the Republic (GAR), the organization of Union veterans. Membership in the SUVCW is open to all those who can prove descent from a member of the Union forces. Associate membership is open to anyone interested in the Civil War, regardless of lineage. If you are interested in becoming a member of the SUVCW, please visit and read the SUVCW National Headquarters Membership page to see if you meet membership eligibility.